Rainy season is here, but it didn’t stop us from exploring the beautiful and clean city of Davao. In our short stay in the Durian Capital of the Philippines, we discovered a lot of interesting things about the place. Davao has rich culture, diverse traditions, fruit plantations and picturesque landscapes. 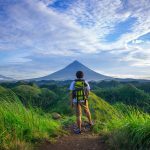 If you will include it on your travel list, you won’t regret paying a visit to where the country’s highest mountain peak, Mount Apo, resides. 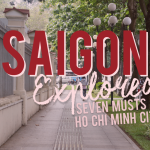 Whether you’re an adventure seeker, cultural explorer, nature lover, foodie or just a wandering visitor, there’s something in store for you here. 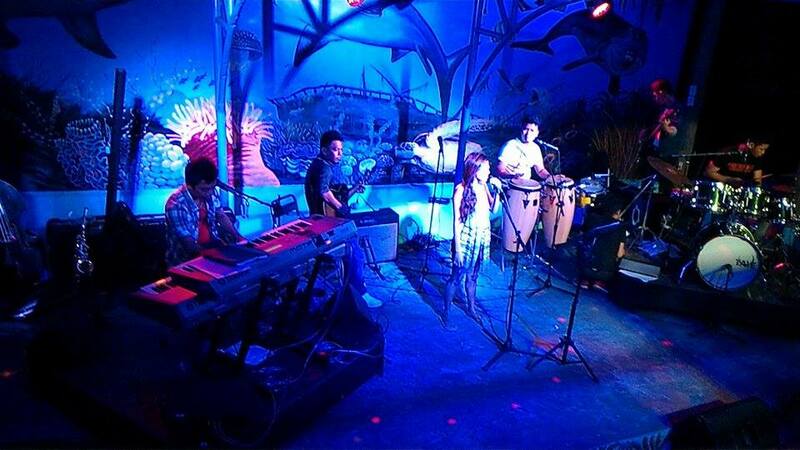 Here’s a list on how you can make your travel in Davao City a one-of-a-kind experience. 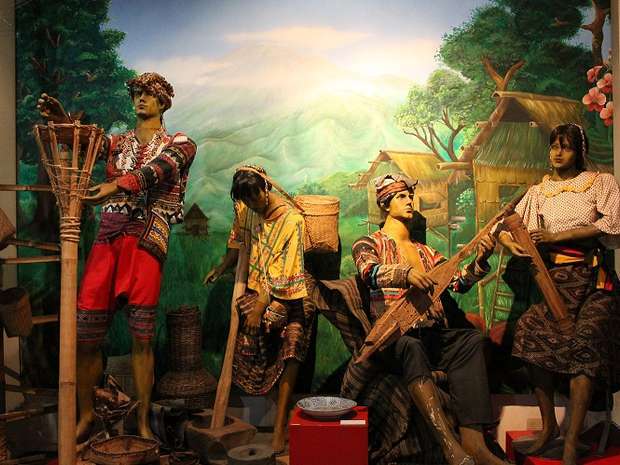 Speaking of rich history and diverse cultural heritage of Davaoeños, Museo Dabawenyo or the Museum of the people of Davao will provide you a great learning experience about the region. 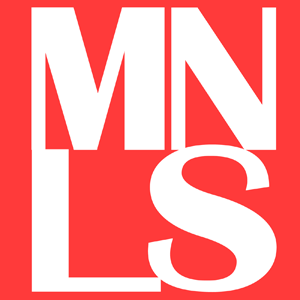 Admission is free and there’s a guide who will give you an amazing and educational tour. Taking photos is prohibited inside the museum but there is a certain area where you’re allowed to take pictures. American bone collector and conservation advocate Darrell Dean Blatchley, also known as Uncle D, has founded the D’ Bone Collector Museum. 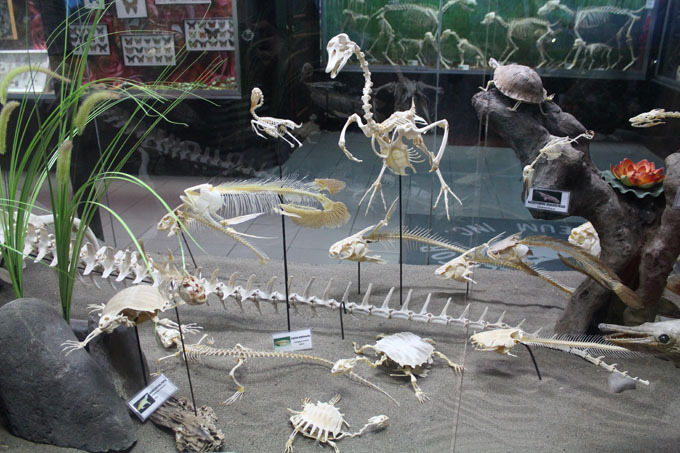 This place is not an ordinary museum as it offers a unique collection of fossilized bones, canine bones, skeletons of marine animals and other species from different parts of the world. It became one of the popular tourist attractions in the city because it is a good place where you can learn more about wildlife conservation. If you want to enjoy, be entertained and educate yourself about environment and wildlife, Uncle D’s museum is definitely a must-visit! If you get tired visiting museums, you can visit People’s Park instead. It is a clean and beautiful cultural-themed park located at the city center. 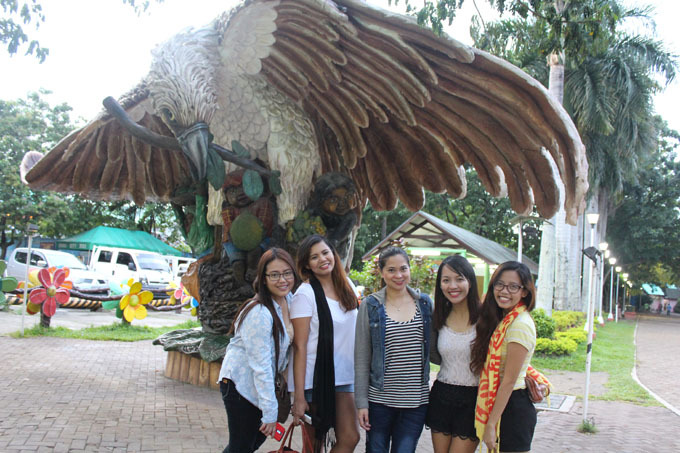 You will see a couple of life-sized sculptures of indigenous people and Philippine Eagle. 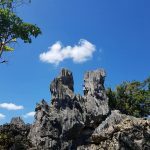 Moreover, this park also features other awesome attractions like the Dancing Fountain, Durian dome, beautifully landscaped lush greenery, playground, a collection of various bamboo species called bambusetum and many more. 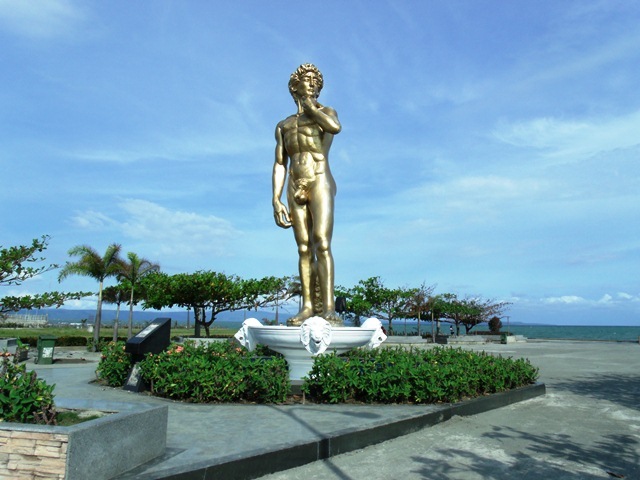 It was night time when we arrived at Seawall or Queensland Park where a golden replica statue of Michaelangelo Buonarroti’s David was located. We didn’t attempt to stay long or even walk around because there are few streetlights and there are ostriches nearby. Some people say that the best time to go here is before sunrise because it faces the east and it has an amazing view during the day. Upon hearing about unlimited shrimps in this resto, my friends and I got delighted and chose to head to Blue Post Boiling Crabs and Shrimps instead of going to Crocodile Farm. (Yes, we prefer to indulge ourselves than to stroll haha). The food was so delicious. We got buckets of well-cooked shrimps for only Php 399 each with rice and bottomless drinks. Although it’s too early for dinner when we got there, it didn’t stop us from tasting their luscious shrimps. You can also try other mouth-watering seafood dishes like crabs, tuna belly, fish and delectable desserts if you happen to visit Davao city. In Blue Post, be ready to get messy! Our first dinner in Davao city is at Dencia’s restaurant. They are serving tasty home-cooked meals such as porridge (lugaw), lomi, pansit, tokwa’t baboy, lumpiang shanghai, roasted chicken, sinigang na hipon and many more. Aside from Filipino dishes, they also serve Chinese food. Price is affordable and it has a homey ambiance. 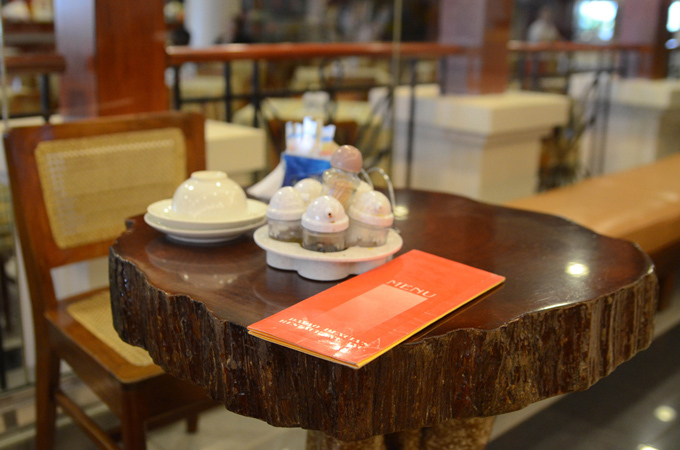 It’s a cozy place perfect to catch up with family and friends. 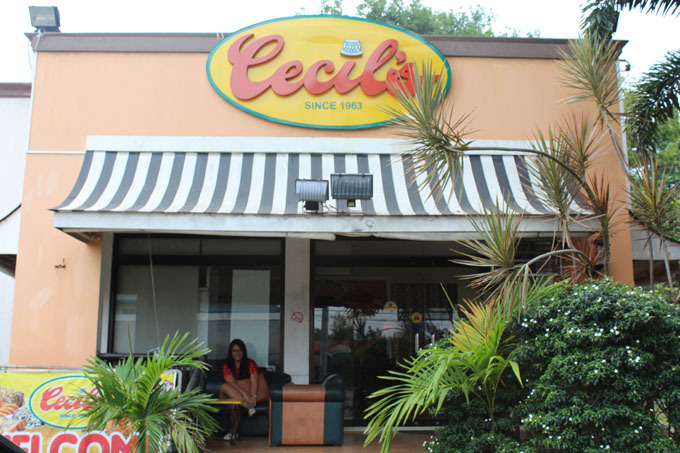 Cecil’s Snack is one of the famous bakeshops in Davao. They serve scrumptious pastries at a very affordable price. We stopped by at one of the branches of Cecil’s and bought some desserts which tasted like heaven. For those who want some sweet and cheap treats, you should try their eclairs and cream puffs. Their baked goods are yummy and comforting enough to satisfy your sweet tooth. Are you up for some sky adventures? Eden Nature Park doesn’t only offer a serene place to stay and enjoy nature. 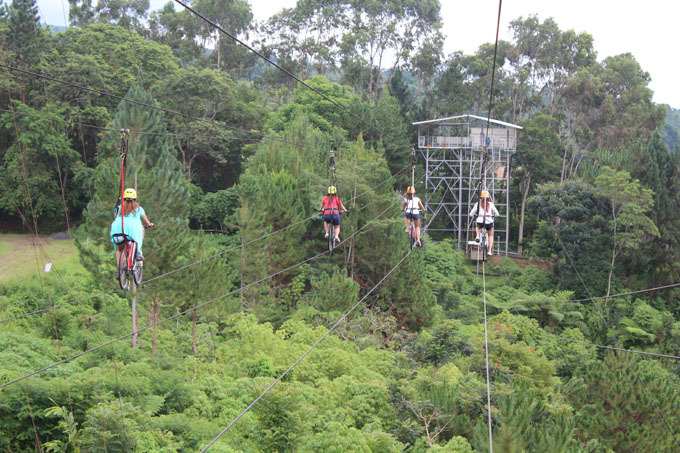 This well-known mountain resort and paradise has so many recreational activities in one place. If you’re fearless and thrill seeker, you should never miss the skycyling and skyswing attractions. Biking on top of a cable that is 60 feet high is fun and we really loved it. But the giant swing is another thing; it is not for faint-hearted. The skyswing will lift you 95 feet above the ground and when you reached the top, the staff will notify you by a whistle so you can prepare. After 5 seconds, you will be dropped from the top and you’ll feel the highest swing in your life. 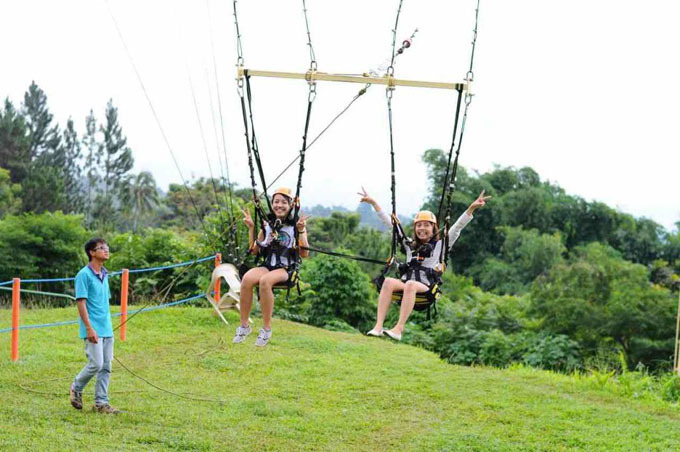 If you’re looking for an adrenaline rush, sky swing will give you a feeling of extreme excitement and panic (haha). It will literally swing your heart out to the sky. I’m not a fan of water sports. 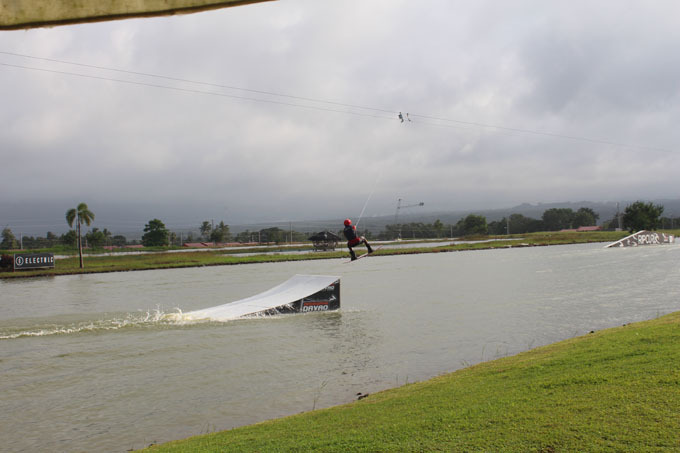 But after my first attempt in wake boarding, I realized that it was fun and it’s worth a try. My friend Mich was the only excited and curious one to try wake boarding. She badly wanted to try it so even though we’re not really into it, we have no choice but give it a shot. I almost give up after reaching the 3rd turn twice on knee boarding because holding on the tow rope was difficult and tiring. Good thing, the Deca Wake Park staff are so accommodating, pleasant and they’ll help you feel at ease. They encouraged me to ride the slip-on board and try to complete a round so I did. And guess what, I was able to reach the first turn the first time I tried. Woohoo! such an achievement for a beginner like me. You should try this adventure as it is highly recommended. And believe me, it’s worth the muscle pain days after. 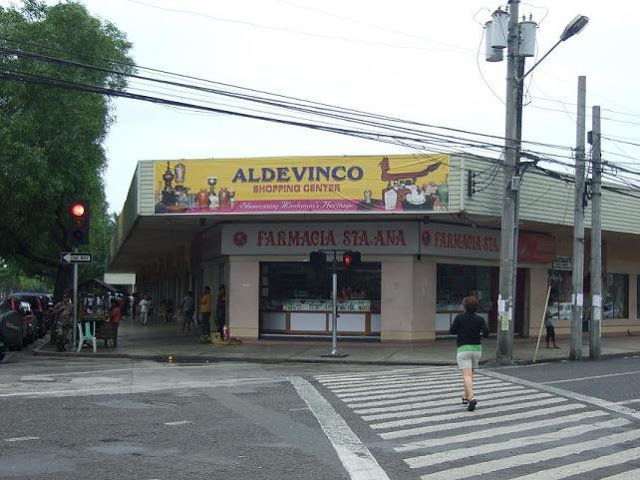 Aldevinco is a one-stop shop pasalubong center in Davao City. 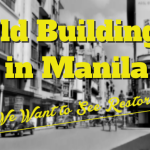 It is situated in front of Ateneo de Davao University along C.M.Recto avenue. For ethnic handmade products, malong, dresses, souvenir items like shirts, keychains, ref magnets, shawls, and various Batik products, Aldevinco has everything you need—except for food. 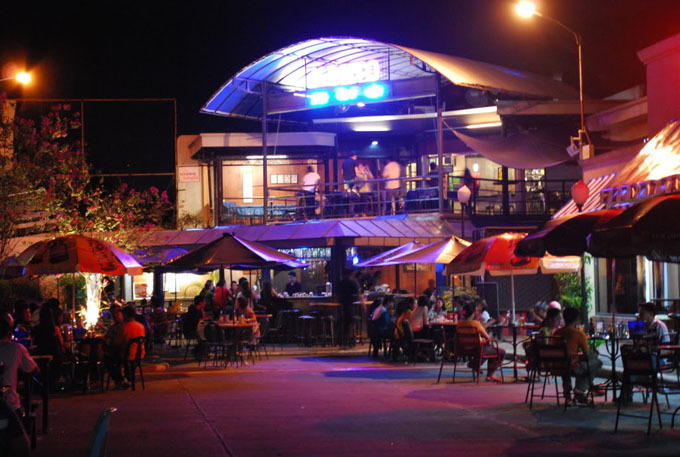 Matina Town Square (MTS) is known as the city’s night party hub. You can dine, shop, chill, drink and enjoy the live music while hanging out with your friends. There are a bountiful of restaurants, bars, and stalls to choose from. You’ll surely experience a vibrant nightlife when you visit this place. However, keep in mind about the curfew in alcoholic beverages. Selling and serving liquors and other intoxicating substances starting at 1AM are prohibited in Davao. 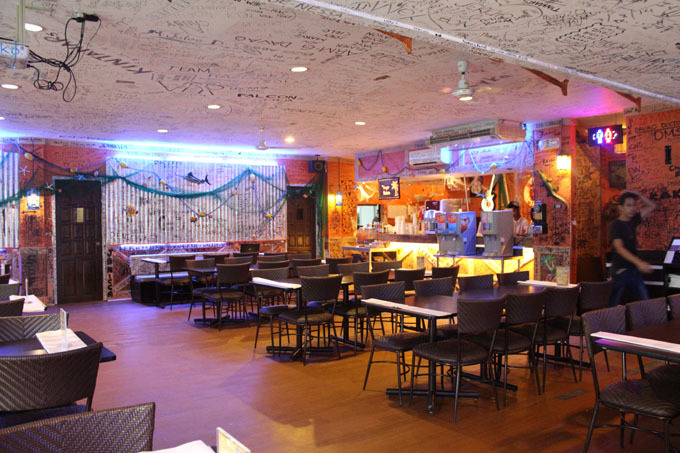 For a chill, laid-back foodie experience with live band, Bogsers bar is a place to go. You can request your fave songs to the band or if you have a beautiful voice, you’re free to jam with them. We met new friends while we were in Davao and they introduced this place to us. Thanks to a social butterfly named QC, our new found-friend, we had fun and enjoyed Davao’s nightlife. 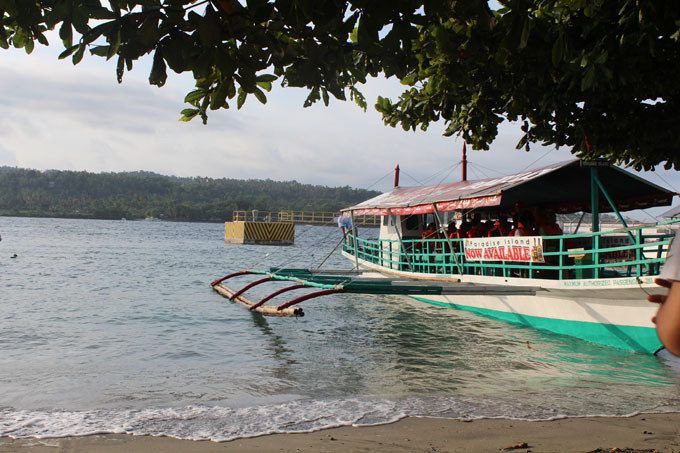 From highland to island, immerse yourself in a relaxing and charming atmosphere of Samal. Paradise island is a tranquil escape from the bustling city life. It offers plenty of space to stay, a wide variety of food to eat and a clean, white sand beach. Your family and friends will definitely love it here! 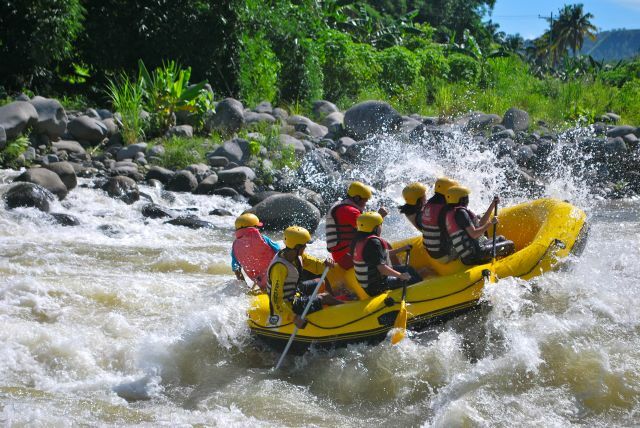 Wild Water Rafting at Davao Wildwater Adventure Inc.
We plan to try the wild water rafting, a widely popular outdoor adventure in the city. Unfortunately, we didn’t have enough time to do it. But for you guys who plan to go to Davao, make sure to grab the chance to brave the wild rapids of Davao river. I heard it’s a heart-pumping and exciting water adventure. 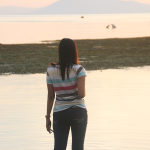 Someday when I return to Davao City, this is the first activity that I will do. 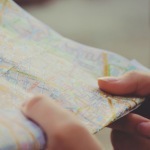 What other activities and places to visit you can recommend in Davao City? Tell us about it below!